Latest VCE Oracle SQL files. 100% free and actual. Shared by real users, checked by qualified IT experts. Files are based on latest Oracle SQL exam questions and contain most updated Oracle SQL questions and answers. VCE files are opened easily with Avanset VCE simulator. Pass Oracle certification exams skillfully. Without a doubt, Oracle SQL certification is the best credential to obtain for your career growth. Oracle SQL is one of the reputable programs available. Structured Query Language (SQL) is a type of programing language used in relational database management systems to manage data. The advantages of using SQL is that it enables one to deal with several records using one command and also makes it possible to retrieve files without specifying how to reach the record. As a result, the professionals certified in SQL are in high demand on the job market. 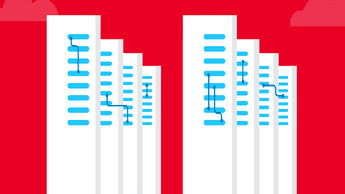 Here are some of the most sought-after certifications from Oracle. This cert proves that you have the skills needed to deal with the complex data types, advanced security features, dynamic cursors, and aspects of data management. 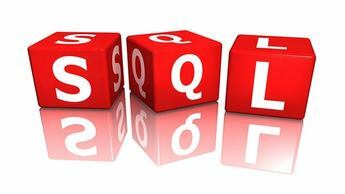 This certification will teach you the advanced features of SQL and how to effectively use them. Your knowledge of the coding applications architecture will become excellent by the time you receive this credential. The prerequisite for Oracle Database Certified Associate is Database 12c: SQL Fundamentals Certification. Candidates are required to enroll for a Database design and SQL programming courses. Upon successful completion, they can sit for exam 1Z0-071 (Oracle Database 12c SQL). The second option to get this advanced-level certification is to pass one of the two exams (1Z0-071 or 1Z0-061) plus 1Z0-144 test. All the exam preparation materials are available on the Oracle University official site. The test can be taken online via Pearson VUE. Other websites also offer some exam preparation materials. Upon successful completion and passing, you will receive the digital badge. This is another important certification. To qualify for this, you are required to possess Oracle Database SQL Expert certification. To earn this credential, you are required to pass test 1Z0-144 (Oracle Database 11g: Program with PL/SQL). Oracle University provides all the required preparation materials for this test including a course (Programming with SQL). The exam costs about $240. Pearson VUE is responsible for the exam and registration is done at their website. SQL is very important when it comes to database management, so take these certifications seriously. The credentials mentioned above are the key to your career success. Having any of these can give you the status you need, so go for it! thanks a million guys!! didn’t expect certification exam to be this easy. however, thanks for the dumps for sql certification exam, i was able to easily prepare for the exam. @darius365, if you wish to sit the sql certification exam without gaining access to a lab it is still possible. however, i would not recommend this as you may end up missing vital skills required in the technology world. hey pips can one sit sql certification online test without having a lab? kindly tell guys! also advice if the dumps provided are still valid if you dnt mind. good work with sql certification dumps. you did a great job in making it easy for students to ace the exam. highly recommend this resource. very nice and precise oracle sql certification material. apart from being geared to address the needs of the most recent exam this also test your knowledge in all areas hence ensuring you possess all skills required to be a sql admin.